I’ll admit it — I know absolutely nothing about skiing in South Korea. 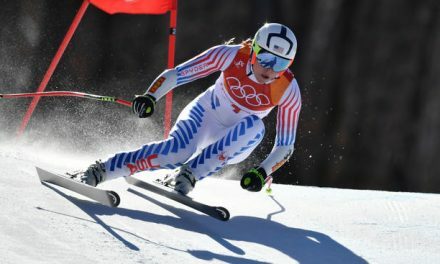 Which isn’t good, particularly since the 2018 Winter Olympics are just around the corner. Since I figure I’m probably not alone, I thought I’d take this opportunity to give all of us a crash course on a few things that might be worth knowing so we’re ready when the Games begin. • The Korean peninsula is bisected by the Taebaek Mountains, which stretch approximately 310 miles (500 km) from Wonsan in North Korea to Busan in southern South Korea. The highest peak is 5,603 ft (1708m) in Gangwon-do. • The 2018 Winter Games will take place in Pyeongchang County, about 120 miles southeast of Seoul. Eighty-four percent of its territory is comprised of mountains with average elevations of 2,296 ft (700 m). • Pyeongchang has a slogan, ‘Happy700 Pyeongchang,’ taken from the county’s average elevation (in meters). 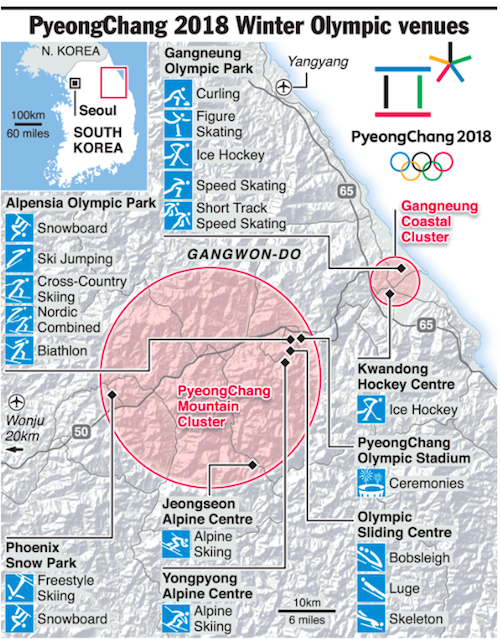 • The Games are gathered around two main venues: the Pyeongchang Mountain Cluster, which includes Alpensia, Jeongseon Alpine Centre, and Yongpyong Alpine Centre, for alpine and the coastal city of Gangneung for indoor sports (figure skating, hockey, curling, etc.). A free-standing venue, Bokwang Snow Park, will host freestyle skiing and snowboarding. • Soohorang, the mascot of the Pyeongchang 2018 Olympic Winter Games, took its motif from the white tiger. The white tiger has been long considered Korea’s guardian animal. Sooho, meaning protection in Korean, symbolizes the protection offered to the athletes, spectators, and other participants of the Games. Rang comes from the middle letter of Ho-rang-i, the Korean word for tiger, and is also the last letter of Jeong-seon A-ri-rang, a traditional folk song of Gangwon Province. • South Korea opened its first resort, Yongpyong, in 1975, but the sport didn’t really take off until 1992, when Short Track Speed Skater Kim Ki-Hoon brought home the country’s first Winter Olympic Gold medal. • Yongpyong is owned by the Unification Church, a religious movement founded by Sun Myung Moon. It has 15 different lift facilities. The lift-served summit is 4,783 ft (1,458 meters ), and the base area is at approximately 2,530 ft (770 meters). 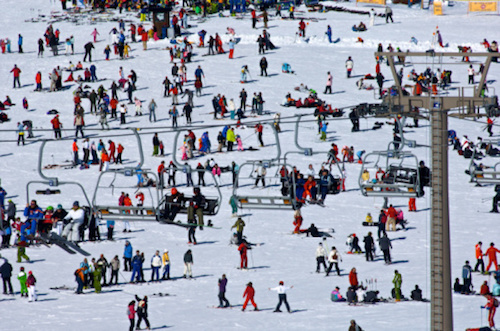 • South Korea has 21 ski resorts. The largest are scattered throughout Gangwon-do province. • The South Korean ski season runs from early December through March. 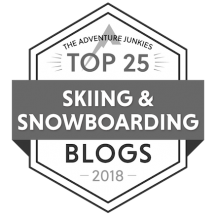 • None of the terrain within any of the ski areas is above the tree line, and every resort lines every ski slope with high chain-link fences. Tree skiing is absolutely not an option. • Although South Korea is fairly close to Japan, the snow is completely different. Unlike Japan, which is known for powder generated when cold air from Siberia intersects with moisture from the Sea of Japan, Korea’s cold air comes from the dry plains of China and Manchuria, and does not go over any large bodies of water. The result is drier, less plentiful snow. South Korean ski resorts rely heavily on the artificial variety, and have extensive snow-making systems in place. 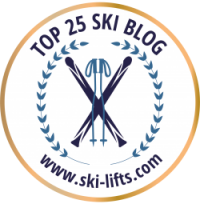 • Korean resorts logged about 5 million skier visits in 2016, less than one-tenth of the US’s 54 million skier visits. 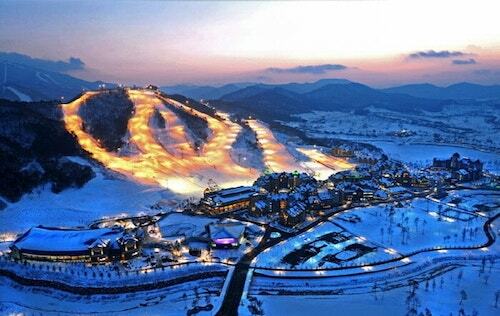 • South Koreans love night skiing! Alpensia is open until 10 PM, while chair lifts at Yongpyong, also known as Dragon Valley, operate until 2:30 AM. 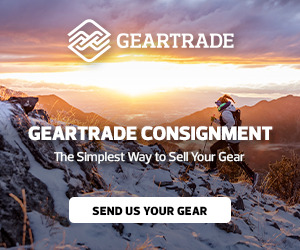 • North and South Korea recently agreed that their ski teams would train together in the Masikryong ski resort in North Korea. • The women’s ice hockey squad will be the first combined Korean team for the Olympics, and the first unified team since their athletes played together for an international table-tennis championship and a youth soccer tournament in 1991. • North and South Korea’s delegations will march at the opening ceremony behind a unified Korea flag that shows an undivided Korean Peninsula. • And for a handy-dandy guide on how to pronounce all those unfamiliar South Korean place names, I found a great video on this from NBC Chicago. Go here. Incidentally, it’s hard to think about South Korea without thinking about the North. If you’re interested in reading an excellent book about what life is like there, I strongly recommend “Nothing To Envy” by Barbara Demick.